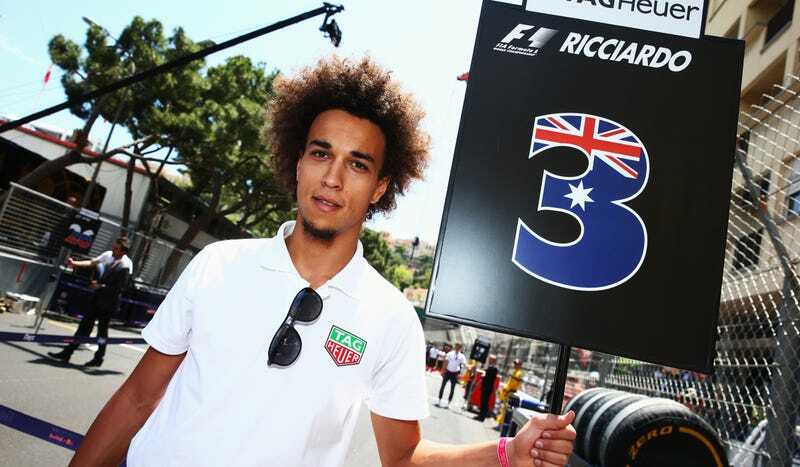 Male models will be joining the usual ladies on the grid for the Formula One Brazilian Grand Prix. Finally, F1-devoted men of the world have the equal opportunity to be a human signpost before a race! Surprisingly, F1 head honcho Bernie Ecclestone even approves of the move. Grid girls — the pretty ladies who hold signs before a race — have come under fire this year after the World Endurance Championship banned the blatantly sexist and outdated practice from their grids. The F1 Monaco Grand Prix made light of the WEC’s move by replacing all of their grid girls with men, but elsewhere, it’s been business as usual in F1. Now, the Brazilian Grand Prix organizers are taking a different step to modernizing the practice, allowing a mixed set of men and women to hold signs next to drivers’ cars. Marcelo Peixoto of the Brazilian Grand Prix organization team told Autoweek that the move was to make the grid better fit Brazilians’ more modern attitudes. Formula One is a bit more on the pomp and circumstance of their events, so I honestly don’t mind this evolution of the grid-person, either. Having all women stand around in skimpy outfits in a male-dominated sport is problematic for obvious reasons. It gives off the appearance that women are just there for decoration, regardless of the other reasons grid girls may get involved — enthusiasm for the sport, for example. It also makes race days look like a good ol’ boys’ club in the worst way possible. Plus, there’s no reason why men can’t also stand around on the grid holding a sign. If you’re excited about the event and want to hold a sign on the grid, should it matter if you look good in a skirt? I’m going to have to say no. Having both male and female models is no doubt a step forward. Next up: can we get a girl in a car on race day, please?